Just a short drive from Versova and Rock beaches, Runwal Elegante is a luxurious residential complex having 2BHK, 5BHk apartments in the most sought-after location of Shastri Nagar in Andheri (West), Mumbai. The project provides easy access to a number of civic amenities and well-connected through local railway and bus network. *	Located close to various shopping centres, malls and entertainment points like Cinemax, Citi Mall, Infinity Mall and Options Fashion Mall. *	There are a number of healthcare facilities and educational institutes like RIMS International School and City Hospital. *	A short drive from prominent beaches like Versova Beach and Rock Beach. *	Easy access to various commercial and business areas of the city, with its proximity to the Western Express Highway. Mumbai is one of the most populous city and the home to India's biggest film industry, the Bollywood. Also known as the Financial Capital of India, Mumbai has some of the most important financial institutions like Reserve Bank of India, Bombay Stock Exchange and National Stock Exchange. Headquarters of big Indian companies like Reliance Industries and TATA Group are also present here. The constant rise in the population here has led to a real estate boom. Established in 1978, Runwal Group is a prominent real estate developer in Mumbai and an experienced name in the domain. Having a number of prominent developments under its wing, like the biggest shopping mall in Mumbai, the developer is a trusted name when it comes to residential properties. It has also pioneered the concept of post-sale property maintenance. In which area is Runwal Elegante located?The project is situated in Shastri Nagar, Mumbai Andheri-Dahisar. What are sizes of apartments in Runwal Elegante? The apartment sizes in the project range from 937.0 sqft to 2308.0 sqft. How much is area of 2bhk in Runwal Elegante? Two-room units (2BHK) in the project are available in an area of 975.0 sqft to 981.0 sqft. What is the 3 bedroom size in Runwal Elegante?  The area of 3BHK units in the project varies from 937.0 sqft to 1454.0 sqft. What is the area of 4 bhk in Runwal Elegante? The size of 4BHK units in the project ranges from 1369.0 sqft to 1670.0 sqft. What is the total area of Runwal Elegante?The project spans across 1.12 Acres. 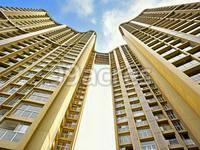 I am looking for a 3BHK apartment in Shastri Nagar Mumbai and have shortlisted Runwal Elegante. Please let me know the price details of units and when is its possession expected. Is it a RERA compliant project? Hi Shubham, as per the brochures being circulated these days, Runwal Elegante is an under construction project and is expected to be delivered by March2019 and is registered under RERA with P**********0 [Tower A]. The price range of units here start from Rs 3.2 Cr [base price]. The units are equipped with amenities such as lifts, swimming pool, parking, gym, club house, community hall, sports arena, attached shopping centre, amphitheatre, etc. If you are interested in making a purchase, you may either contact the interested owners through property portals like 99acres or get in touch with the sales guy available at the project site.